Starting this week, we are running a series of interviews with policymakers from Central and Southeast Europe. Central bank governors and finance ministers discuss how their countries are doing in terms of catching up to Western Europe. What are the main obstacles for reaching the same living standards in the East as in the West? We conducted the interviews during a conference on economic governance within Europe that was held in Dubrovnik, Croatia, in July 2017. Our first interview features Octavian Armasu, Moldova’s Minister of Finance, and Sergiu Cioclea , Governor of the National Bank of Moldova. 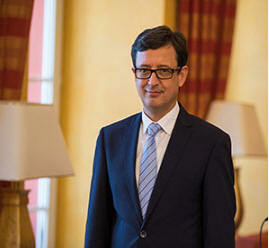 Watch out for next week’s interview with Boštjan Jazbec, the Governor of the Bank of Slovenia. Moldova, a landlocked country of 3.6 million, wedged between Romania on the west and Ukraine on the east, recently posted a robust economic growth of 4.1 percent in 2016, and is broadly on track with its $179-million economic reform program supported by the IMF. The improving economic data has helped restore the support of Moldovans, which, in turn, is necessary for further reforms aimed at good governance. In an interview, Governor of Moldova’s central bank Sergiu Cioclea, and Moldovan Minister of Finance Octavian Armasu talked about how the country weathered the years that led to the IMF program, and what tasks they see remaining before Moldova can solidly stand on its feet again. The Moldovan economy went through a rough patch but has recently been improving. How did you tackle the biggest challenges? Octavian Armasu: Moldova’s economy was hit hard by a bank crisis ignited by a fraud, followed by a bailout. The banking scandal triggered a political crisis that lasted almost two years and meant a loss of access to external financing. At the same time, the political class lost its credibility with its citizens. The government, taking office in January 2016, had only one feasible option: to restore the trust of external development partners and its own citizens. The first and decisive step in this was the agreement on the IMF program, targeting a major reform of the banking sector. The government also initiated several very important and much needed structural reforms, such as the reform of the pension system and of the public administration. We expect that these reforms will create the basis for long-term stability and sustainable economic growth. Sergiu Cioclea: Indeed, in the aftermath of the 2014 banking fraud, restoring the credibility in front of Moldovan citizens, financial markets, and foreign partners was, by far, the biggest challenge. And it still takes time and effort, requiring an uncompromising acknowledgement of all deficiencies that led to the banking crisis, in the first instance, and a credible plan to tackle them. Backed by the IMF, Moldova’s central bank was successful in curbing inflation and stabilizing foreign exchange rate expectations. We took swift measures to stabilize the banking sector, started to impose new shareholder transparency and management accountability rules and promoted key legislative reforms such as the bank recovery and resolution legislation and also Basel III-inspired regulation. Looking ahead five years, what issues do you see as inevitable to make growth sustainable and permanent? Cioclea: Moldova suffers considerably from underdeveloped banking sector and low financial intermediation, which can undermine long-term economic prospectives and investment activity. On the one side, there are significant pools of savings, fueled to a large extent by working emigrants’ remittances. On the other side, however, credit activity remains low, limited mainly to large corporations and only very few small- and middle-sized companies and retail customers. One of the main goals of Moldova’s banking reform is to fix this by reorienting the banks toward their primary role: converting the large deposit base into healthy credits to the economy. Moldova’s central bank aims to accelerate this process by attracting international strategic investors in the banking sector. 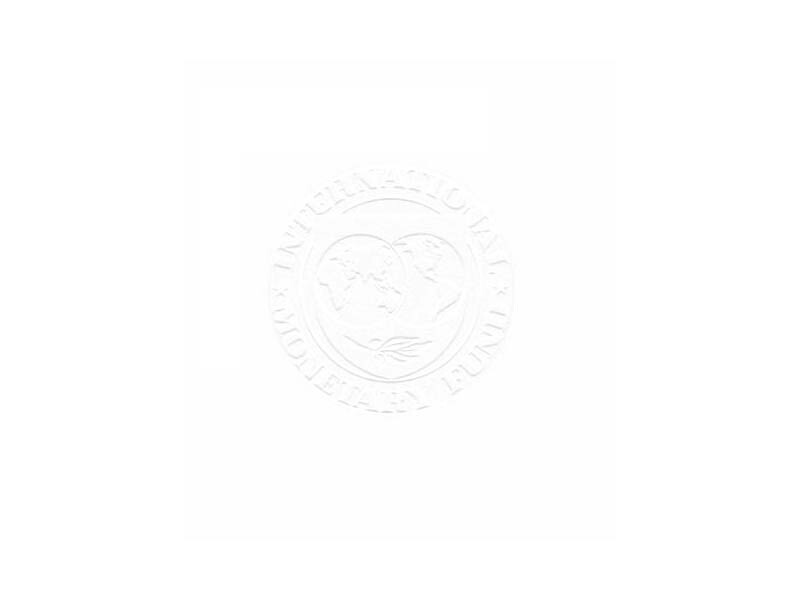 In this respect, the IMF program provided credibility to the central bank’s agenda and prompted the discussions with a number of interested investors of good reputation. 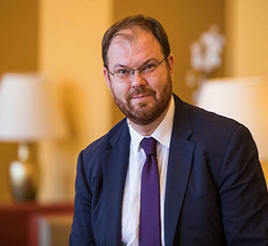 Armasu: Beyond the main issue of the stable banking system, there is the need to improve the business climate. The access to the EU market via a free-trade agreement in 2014 created a lot of opportunities for Moldovan businesses, for domestic and foreign investors. Now we need to work on improving the way the authorities deals with businesses, to make investors feel more comfortable. This means better tax and customs administration, reduced bureaucracy, and a business-friendly approach to state inspections. A very important issue is human capital development and the reform of the education system, areas where Moldova can develop long-term competitive advantage. Another important task is the reform of the justice system and the fight against corruption. How can the anti-corruption drive be strengthened in your country? Armasu: Fighting corruption requires political will in the first place. But even that is not enough by far when state institutions are weak, which is the fundamental problem facing Moldova. When state administration is big and inefficient, and public servants are severely underpaid, institutions cannot play their role in imposing the rule of law, protecting citizens and their property. It becomes very difficult to eradicate corruption. That is the reason why the top priority for this government is a public administration reform, where we address the major weaknesses of Moldovan state institutions from which many other problems arise. That is the fundamental approach to fighting corruption in Moldova. Cioclea: From the perspective of the central bank, a higher transparency in the banking sector, a good implementation of anti-money laundering and know-your-customer policies, as well as supervision regulations are powerful tools in achieving a higher transparency in the economy and society overall. It goes without saying that such a transparency eventually promotes a form of “economic democracy,” where businesses have access to financing on the basis of their business plans and risk profiles, and not on their possible political affiliations. As a governor, I secured from Moldova’s parliament the nomination of two technocrats as vice-governors, making the central bank’s executive board fully independent from political parties. We are also striving to promote cashless payment systems that will help increase accountability and tracking of financial flows. You have been working with the IMF for almost a year in the framework of a program. What are your first experiences? Armasu: Moldova has had five governments since the burst of the banking crisis in November 2014. Its society is extremely divided and very sceptical about any reforms, based on past experience. In such a disoriented society, both the authorities and public opinion had a lot of trust in the IMF’s advice and technical competence. The program helped to depoliticize the economic reform agenda and led to the passage of important measures and much-needed legislation. Cioclea: I come from an international investment bank, where I confess to have held a cliché view of the “slowness and heaviness” of the IMF. Therefore, I was stunned to see how quickly it responded to the Moldovan authorities’ call for help. We had our first meeting with the IMF in Washington in late April 2016. The IMF immediately dispatched a team to Moldova in May 2016, followed by another mission, with the mandate to negotiate an agreement at the staff level to a program in July 2017. The IMF program was approved on November 7, 2016. Needless to say that the IMF’s exceptional speed of response prevented Moldova from severe financial problems in 2016. Besides, I was impressed by IMF economists’ deep experience and—important to mention—reasonable approach in discussing the most suitable solutions.